One of the ways that addiction is described by Alcoholics Anonymous is with the phrase “cunning, baffling and powerful.” To those living with it, this expression certainly rings true. Someone who is clean and sober may seem to be doing well on their journey, but then they have a slip or even a full-blown relapse. This type of behavior is very confusing to an addicted person’s family members and friends: they likely think that once their loved one goes for treatment, that the problem will be “fixed.” Unfortunately, addiction doesn’t work that way. It’s a chronic illness that has all of the qualities listed above, along with infinite patience. At the root of many addictions is a desire to avoid emotional pain. If someone is looking for a way to numb themselves or to avoid dealing with something that makes them feel uncomfortable, they can drink, take a pill, snort or smoke something that will help them do that. They don’t have to learn how to deal with things going on in their life. It’s not realistic to think that someone who has developed that pattern of living can simply stop using their drug of choice without having something to replace it. For this reason, addiction treatment programs teach coping strategies to their clients that they can use in their chemical-free lifestyle. Keep in mind that the addiction is not cured; it is still lying in the background. An addict has to learn that they can’t drink again, ever: they can’t pick up a drink when they are feeling down or stressed. They learn strategies to avoid these types of situations while in treatment. It’s more challenging to get used to the idea that they can’t drink as part of a celebration. If someone has been sober for a time, they might get a little cocky and start thinking that they can have one drink and will be all right. This is the cunning part of their addiction talking to them. It lies in wait, trying to trip them up. 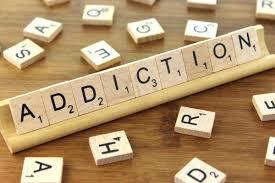 Unless an addict continues to be diligent about working their program, they will likely relapse. The first part of a 12-step program is to admit that one is powerless over the addiction. The minute someone thinks that they have their addiction “beat” and that they don’t need to keep going to meetings and doing things to stay on track, they are opening the door to letting it take control of their life. This disease has the power to change the way a person thinks and how they perceive the world around them. People who are in the throes of an addictive lifestyle will do whatever they need to in order to feed their addiction. The need to use becomes so powerful it takes precedent over anything else. Someone who is an addict is in recovery, but they are not recovered. The addiction will patiently wait for a chance to step back into their life, if given a chance. The best way to prevent this from occurring is to be constantly vigilant about one’s recovery on a day-to-day basis. In some instances, taking things in smaller chunks of time makes more sense. It may mean looking at life one hour at a time if that is what is needed to stay sober. The 12-step programs offer support and fellowship for people who are experiencing challenges in their journey to stay sober. Many of their members will likely understand exactly what the phrase “cunning, baffling powerful” means from personal experience, too.